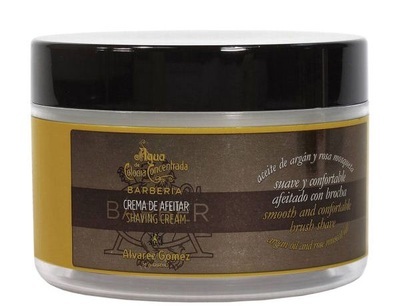 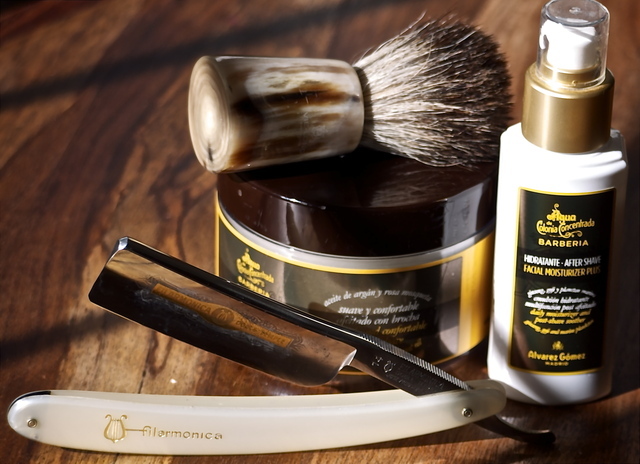 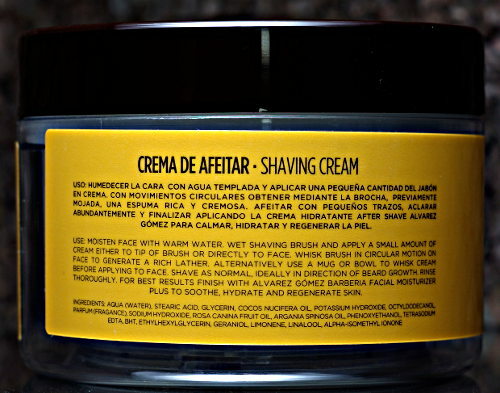 Agua de Colonia Concentrada Barberia Shaving Cream by Alvarez Gomez guards the skin against irritation, so you can enjoy a closer and more comfortable shave. 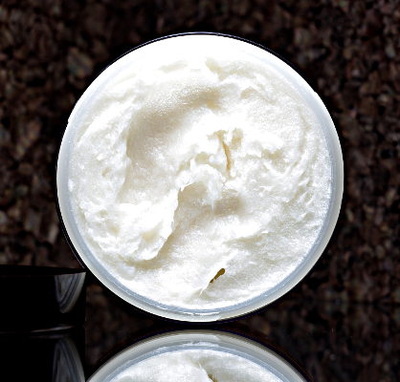 Enriched with an expert blend of conditioning ingredients as Aloe Extract, Argan and Rose Muscat Oils, leaves the skin soft and protected, this nourishing cream soothes and regenerates your skin, helping it to repair after shaving, as well as providing optimum razor glide. 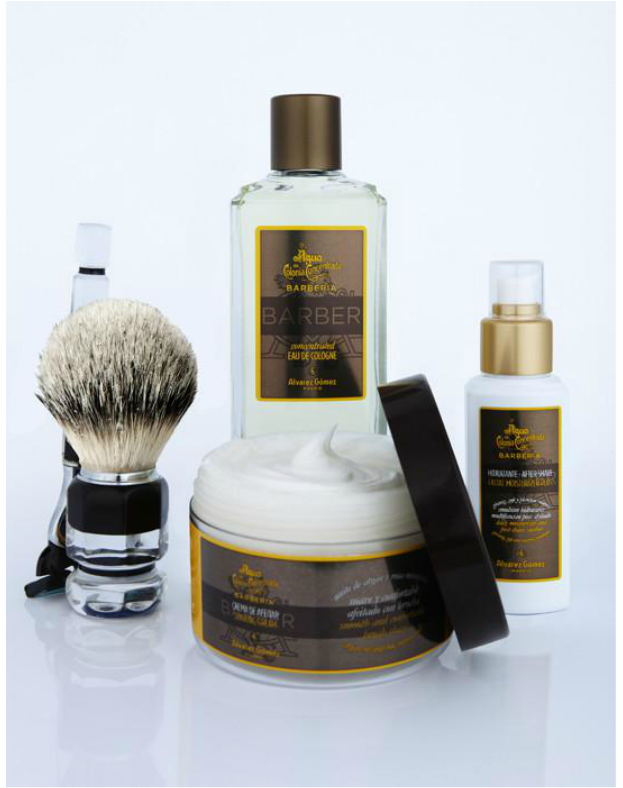 Subtly fragranced with Agua de Colonia Concentrada Barberia Eau de Cologne fresh and elegant scent of citrus and wood.